"DNSBOX's technical crew made implementation easy... We appreciate the "going above and beyond"." James Montoya, US Geological Survey, Colorado "DNSBOX gives us increased DHCP performance and redundancy to meet the needs of our growing volume of FTTH customers." 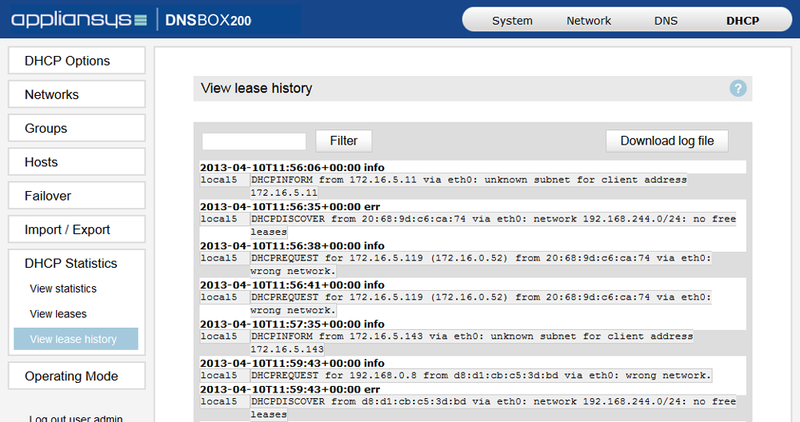 Mike Neverdusky, CDE Lightband, USA "DNSBOX has been a good solution for us, providing us with an easier GUI interface." Sterling Rex, Management Team - Central Office/ Wireless Network Engineer, Farmtel Communications, USA "The [B]DNS[/B]BOXes are performing well and support is very reactive and helpful"
Thierry Prudat, Tineo (Ex Quickline Business AG), Switzerland "DNSBOX can be managed by non-professional technicians. Just teach them a few quick steps then off they go"
Updating DHCP configurations is time-consuming & error prone, particularly for organisations with complex provisioning requirements. A single misconfiguration could bring down your network. Information about which addresses are in use and the remaining available address space can be difficult to obtain or unclear. 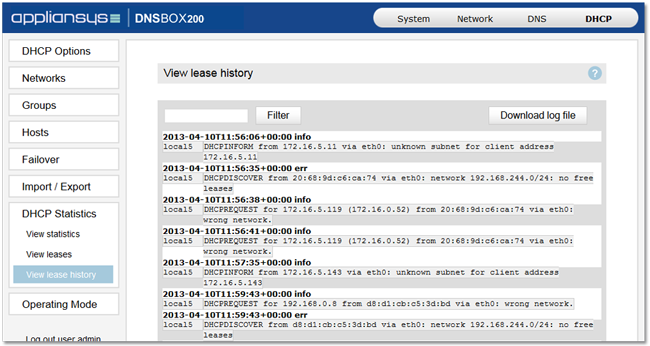 Without visibility, it’s impossible to plan and control your IP address space effectively. Updating software can break existing configurations files. Fixing the fault is by trial-and-error and can take a long time. Configuring a reliable failover mechanism is really difficult. But without failover, DHCP server failure leads to network downtime and time-consuming data retrieval. Windows DHCP poses particular challenges: instability, performance issues, no historical overview, difficult troubleshooting, no failover, problematic split-scope. Whether you’re an enterprise with large IP phone deployments or BYOD schemes to manage, on top of your existing PCs, or an ISP that needs to dynamically assign addresses to customer routers, a dedicated DHCP appliance can help. It will simplify day-to-day administration, improve visibility & control of IP usage and provide a high level of resilience and availability. Automation tools reduce the steps required for initial and ongoing configuration including setting up subnets, leases and views. Network administrators will be able to configure DHCP services in less time than with manual processes. For example, setting up Failover DHCP takes 2 minutes with a DDI tool, whereas it can take hours to write correct config files. With a user interface between the administrator and the server, data editing can be performed in clear, logical steps making these tasks more intuitive. Validation allows administration to be safely delegated to junior team members. With a dedicated appliance, you can get a holistic, live view of your DHCP service’s IP address usage through easy to read graphical reports and clearly presented configuration details for each address. This allows you to control IP address allocation effectively and put a plan in place to cater for devices leaving and joining the network. Where you have multiple distributed servers, some DDI solutions like DNSBOX give you aggregated visibility of your entire DHCP service from a centralised interface. Ensuring maximum availability of this critical network service is a top priority for many organisations. Validation tools can eliminate the configuration errors that would threaten the stability of your DHCP service. If a proposed configuration contains conflicts or unacceptable values, the tool would refuse to implement changes and provide a detailed description of which data is invalid and why. Having a backup plan for your DHCP service further protects your network from costly failures. An appliance can make it much easier to configure DHCP failover pairs. 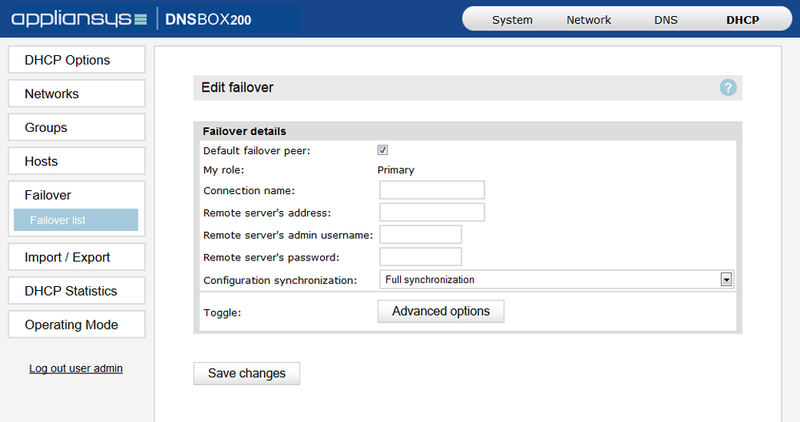 With just a few clicks, you can set up processes that synchronise data between servers and configure the parameters for your failover mechanism. 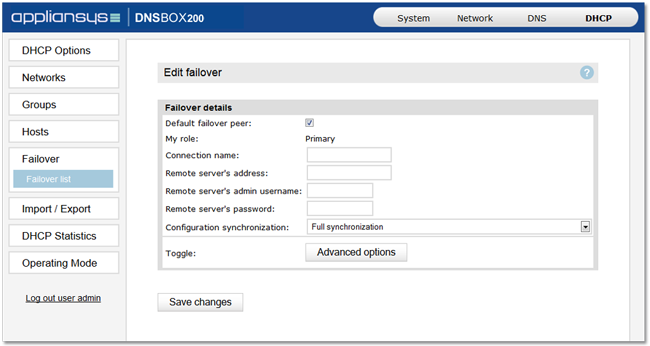 Some DDI solutions like DNSBOX let you schedule firmware upgrades at times when critical applications are least likely to be affected.